NBA – The defending Eastern Conference Champion Cleveland Cavaliers is facing another problem after their 2nd most productive and liable player Center/Power Forward Kevin Love suffered a hand injury in the early minutes of the 1st quarter in their game against the Detroit Piston at Little Caesars Arena in Detroit, Michigan. The Cavaliers are in 2 – game winning streak prior to Love’s injury who just played 4 minutes in the 1st quarter and never return to the game, he was diagnosed of a broken left hand and will be out for an estimated of 6 to 8 weeks. The injury to Love gives more problem to the Cavaliers current situation where the team struggles for the entire month of January. Love is averaging 18.2 points and 9.6 rebounds per game and will be missed, his output till his return from the injury. The Cavs bench player must step up to fill the shoes of Love? Channing Frye is the next man to step up, but it will be LeBron James, who will carry the more burden while Love recover? Love will also miss the upcoming 67th All – Star Game due to injury he will be the 3rd All – Star player that will be replaced in Team LeBron after suffering injury. Demarcus Cousins and John Wall are the other 2 players that have been ruled out of the upcoming event. Meanwhile, Detroit Piston takes advantage of Love’s absence as they defeated the Cavaliers at home in a 125 – 114 win over the defending East Champion. Stanley Johnson scored 26 points to lead the Piston in scoring while LeBron James drops 21 points in another disappointing losing effort. Piston improves their standings to 23 wins and 28 loss to end 8 – game losing skid while the Cavaliers drops to 29 wins and 20 losses. Tomorrow, The Cavaliers without Love will be facing the visiting Miami Heat at Quickens Loan Arena the winner will hold the 3rd best record in the East which currently hold by the Cleveland Cavaliers. 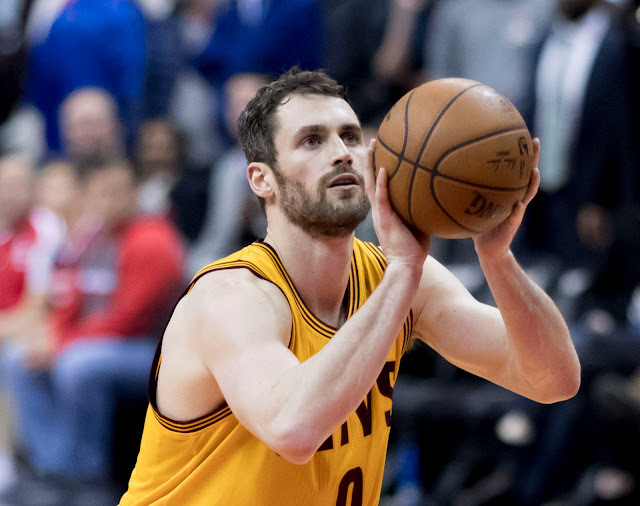 No Comment to " Cav's facing more Problem in Kevin Love’s Injury "